Began this afternoon in the Comal Creek area. The mouth of the creek near Comal Island showed no activity on the graph so I moved in past the Comal Park Boat ramp (photo above) to the rear of the creek (see #1 on map HERE). There were many fish suspended here. But… could not get them to bite. The photo of the graph below shows these fish. 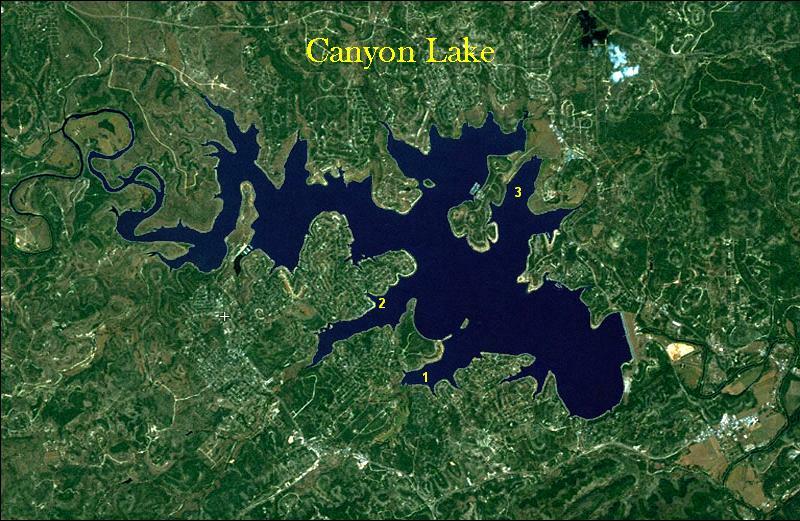 I decided to leave the Comal Park area, so I moved up the lake and turned into Tom Creek. I worked down the NW shoreline until I reached the last large rock cove before the Tom Creek county boat ramp (see #2 on map HERE). Fish were stacked up in the secondary channel at the mouth of this cove and I believe they were stripers. But, they were simply too deep to reach with fly tackle. The photo below shows these fish. Next, I moved back across the lake and headed up the NW branch of Jacob’s Creek (see #3 on map HERE). Historically the main channel of this creek holds white bass and stripers in the winter and early spring. 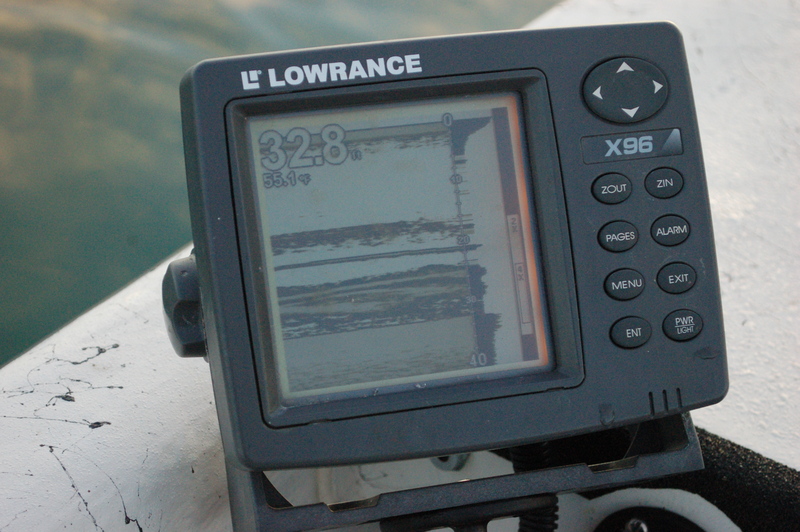 As luck would have it, my graph lit up as I cruised up the channel. The fish were there. 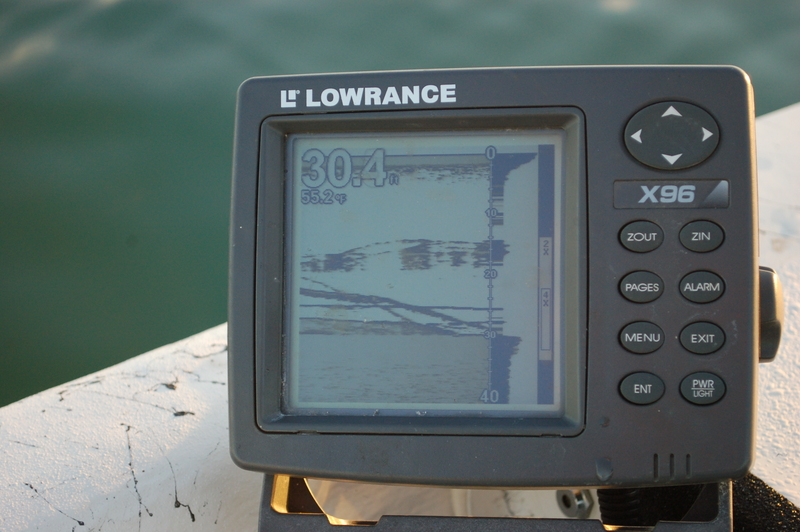 Initially, they were hugging the bottom in 30-35 ft. of water directly in the center of the channel. The photo below shows them running the bottom under a school of shad. I moved slightly upwind of where marked the largest concentration of fish and threw out a drift sock to set up a slow drift over the channel. I was casting my usual rig: an 8wt. rod with a Type 6 fast sinking line, a 17 lb fluorocarbon leader and a #2 Chrome Clouser. To get my fly to the proper depth, I would make a cast, count to 30, and then make a retrieve. 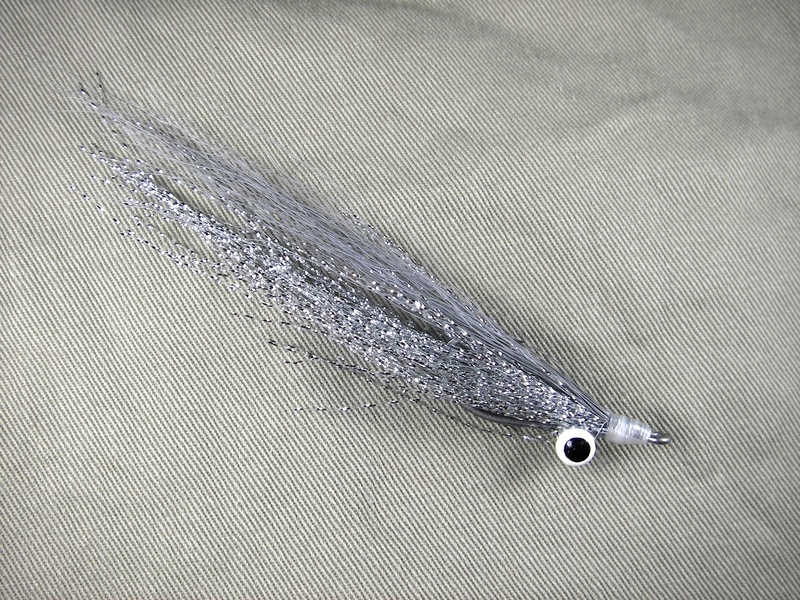 Sometimes these fish, especially stripers, like a falling “dead” fly. But today, they wanted a fast jerky retrieve and would only hit a fly that was on the move. Ended up catching 12 whites. They weren’t big, but they were fun and I hoped the stripers would show up sooner or later. 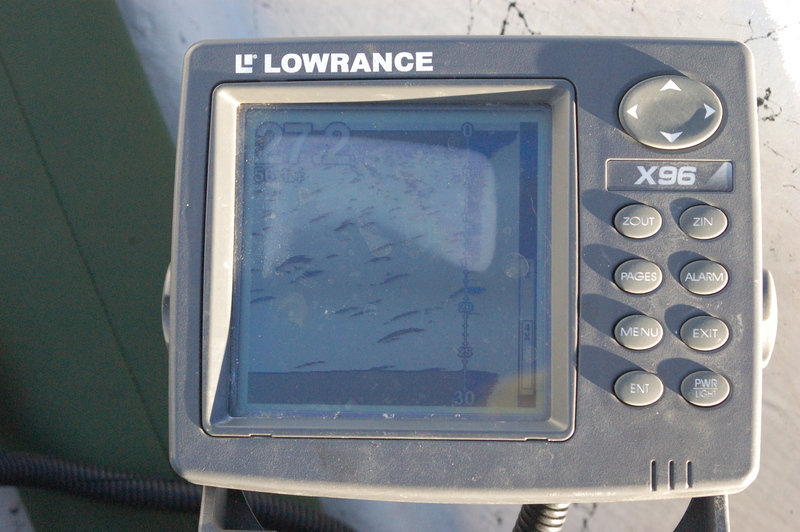 The photo below shows a small white bass and you can see the fish feeding on the graph in the background. About an hour before dark, the fish on the graph started breaking up and spreading out in distinct lines and arches, forming what I call a “spaghetti mode” on the graph (photo below). This is usually a good sign. 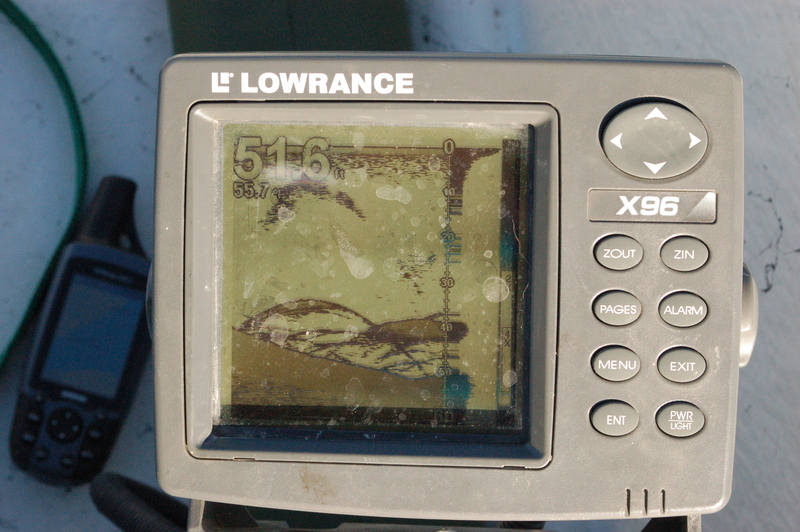 The new life on the graph turned out to be feeding stripers. 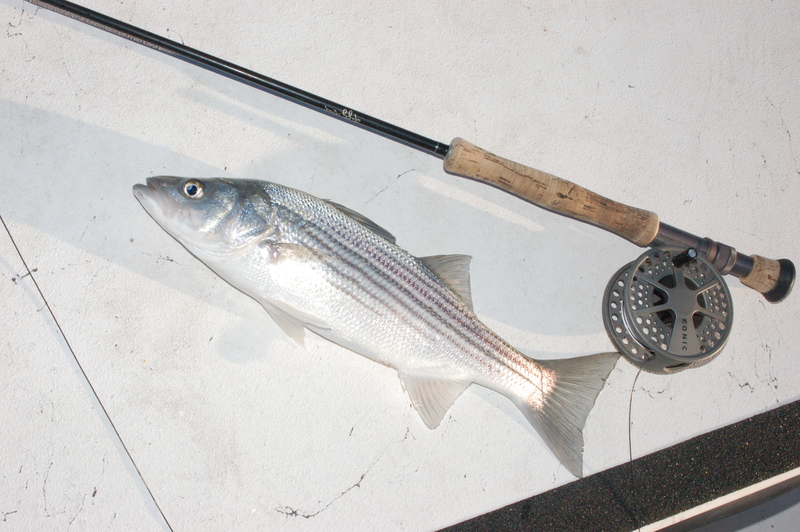 Like the white bass I had been catching, the stripers weren’t big, but they were feisty. I caught 5 stripers, all 14-18 inches long. I kept hoping some bigger fish, or perhaps a hefty female would show, but none did. 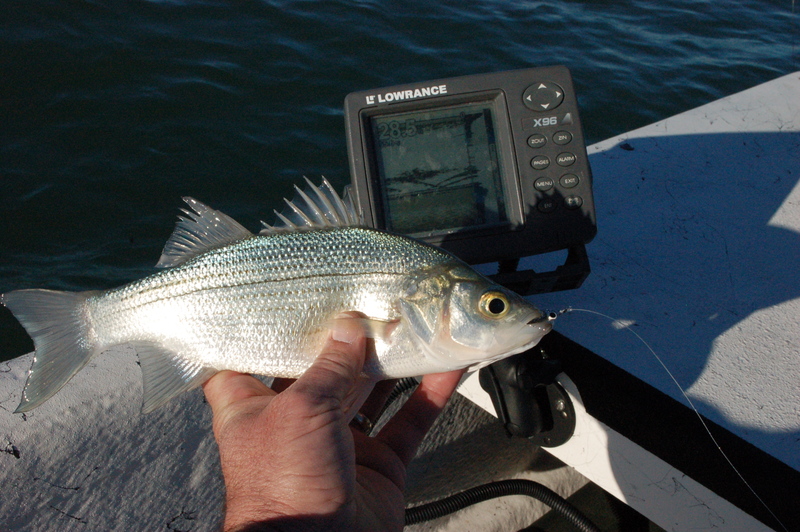 Still… it amazes me how strong stripers are- even relatively small ones. This evening’s trip was promising because the whites and stripers are piling into Jacob’s Creek earlier than usual. 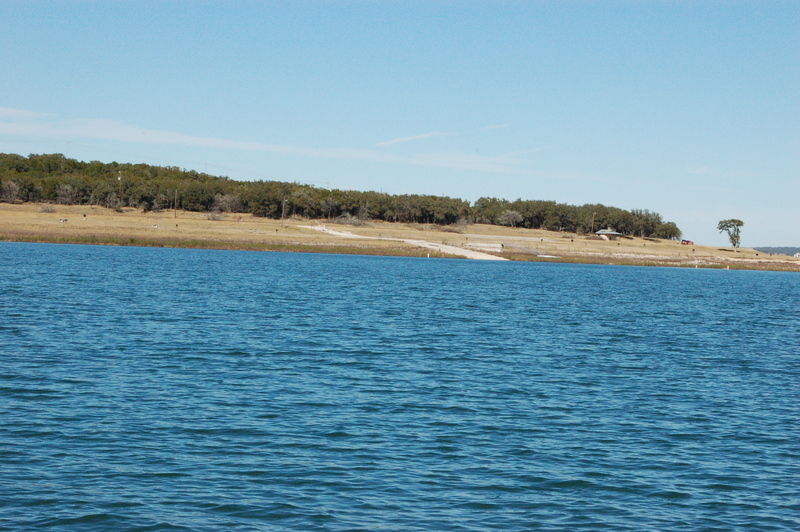 Historically, Jacob’s Creek has been a good spot for whites and stripers in late winter and early spring. But, the fish are there right now and that means the area has the potential to produce some good action over the next 3 months.